The Argent Ultima are a space marine chapter of the 3rd founding that has loyally served the imperium since. Founded of Iron Hands stock, it was created to protect the Calisota sector, an isolated region in northern segmentum obscurus. The following document describes their history, their speciality, their organization and their philosophy. It will also include several characters of note, as well as basic rules for using this chapter in the deathwatch RPG. -Golden Mark of Skaros: This symbol has been used since time immemorial by the tech-priests of the forge world of Skaros. Due to the chapter’s close association with this forge-world, they adopted the symbol at their foundation. -The Mechanicum Cog: This twelve-toothed cog symbolizes the chapter’s observance of the cult mechanicus. The twelve teeth represent both the sacred number 12, as well as the twelve major divisions of study in the mechanicus. -The Golden Halo: This golden twelve-pointed halo symbolizes the chapters creation from the knowledge of the Omnissiah. 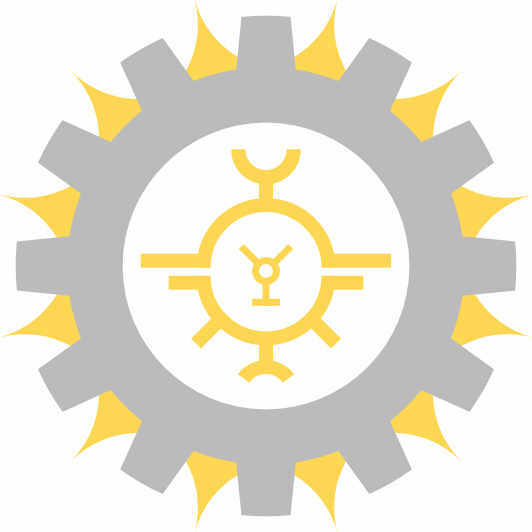 The is placed around the cog to symbolize the union between the imperium and the mechanicus. -Argent: Key color of the Argent Ultima, the bed of argent serves to honor their Primarch, Ferrus Manus, and his true-silver hands. It was chosen to reference their most sacred relic, the Argent Panoply. -Gold: Secondary color of the Argent Ultima, this color is the color of their armor’s trim. The gold serves to honor the Omnissiah. In the waning years of the 31st millennium in the distant Calisota sector, the Archmagos of the Relic-World of Skaros where facing increasing threats related to Orkish and Chaotic forces. It’s location at the edge of the sector left it open to frequent raids. Hearing of the 3rd founding being organized by Rogal Dorn, they petitioned the High Lords of terra to have one of the chapters established within their borders. Due to the closeness of the Iron Hands to the mechanicus, an elderly Iron Father by the name of Zenodeon was sent to Skaros to evaluate its need. Zenodeon had long wanted to visit Skaros, as the Relic-world, entirely artificial and dating from the dark age of technology, was renowned as a masterwork of the Omnissiah. In adition, the forge-world had been left untouched by the schism of mars, allowing it to maintain much of the earlier age of the mechanicum. Zenodeon was deeply impressed by the Relic-world; from surface to core, its nature showed the work of human hands. The local machine cult claimed it was the glorious nature of the world that made the Omnissiah impossible to ignore; for only a being of perfect knowledge could have created it. Deep in the unexplored vaults of the world, an archeotech wonder was discovered by a team of technoarcheologists. Seeing a sign of destiny, they invited the Iron father to see their glorious discovery. There, in a deep stasis-vault, Iron Father Zenodeon was moved to tears. 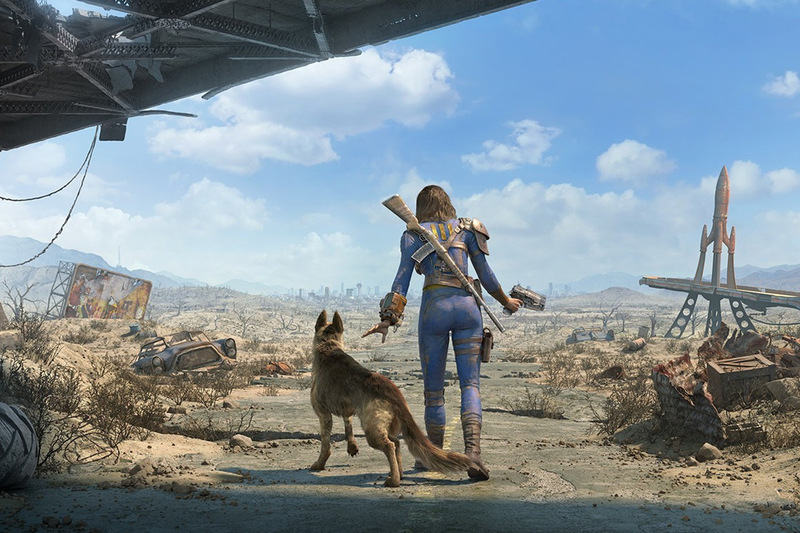 In the chamber was a wondrous set of artificer power armor, of greater quality and wondrousness than ever before. Its skin was of purest argent, its faceplate a smooth curve, all topped by a silver halo. In addition, the armor was perfectly sized to fit an Astartes, despite having been in the vault for thousands of years. These sign where simply too great for Zenodeon to believe this was a coincidence. He declared that the armor, now named the Argent Panoply, was created by the Omnissiah himself, in ages past, for those Astartes that would reach this world. A chapter MUST be founded he claimed, to protect both the Relic-World and this wondrous Artifact. Due to the combined efforts of the Skaros Mechanicus and Iron Father Zenodeon, a writ of succession was given by Rogal Dorn, and Zenodeon worked to found the new chapter. As the Relic-world was one of twelve moons surrounding the gas giant Skaros Aeros, the unsettled eleventh moon Ialysos was chosen as the location of their Chapter-Monastery, the Argent Spire. The chapter was organised using a mixed division combining elements of the Clan-companies of the Iron Hands and squad divisions according to the Codex Astartes. As founder, Zenodeon had an inordinate impact on the Chapter philosophy, based on his experience as a young techmarine during the Horus Heresy. Rather than decry the weakness of the flesh as their progenitors, they decried those of the mind and personality. In addition, they followed the beliefs of the Cult Mechanicus in its entirety, placing little importance on their Primarch and honoring the trinity of the Omnissiah (creator of the flesh), the machine-god (creator of the mind) and the motive force (creator of the soul). Founded as guardians of the sector, they were tasked with defending it and it alone. Following the founding of the chapter, they set about to organize a crusade along with the Skitarii Forces of Skaros, their titan legion the Legione Relicae, forces of the Astra Militarum and forces loyal to the sector’s preeminent rogue trader dynasty, the Filianatis. Facing mostly Orkish forces of the Ironstompa clan and the non-imperial Free Alliance of Condra. Taking slightly more than a century, the crusade led to the foundation of the Sumaurum and Viridaurum sub-sectors. In the years of the forging, the sector slowly expanded through colonization, the Argent Ultima keeping them safe from raiders and other dangers. 600 years after the founding, Zenodeon retired, setting a tradition that all Astartes of the chapter must retire after 600 years to avoid the mental calcification that comes with such age. This period was relatively peaceful for the chapter, and their forces spent much time exploring the surrounding halo zone, recovering archeotech relics of the dark age of technology. Following the 7th black crusade, large number of Chaos raiders entered the space surrounding the sector. This led to the declaration of the second Calisotan crusade, led by the (now legendary) Grand Admiral Mithra Hexcalandrax. His leadership during the crusade defeated the mostly Khornate chaos raider, led to the settling and securing of the Hierophane, Muratrox, Peregon and Ultralimbus sub-sectors. The admiral’s development of the Hexcalandrax doctrine, espousing combat without anger & passion, favoring duty and prevention over all, had significant influence on the chapter, leading to tactical evolution favoring similar methods. During the period of waning, the chapter focused on reinforcing the sector as best they could. Constant, long-term raids from many sources slowly degraded several sub-sectors on the borders of the region., though strong demand from the various wars reinforced the sector’s economy and helped the Argent Ultima to reinforce their production base. Nonetheless, maintaining contact with the imperium at large became increasingly difficult. The 12th black crusade was tremendously damaging however. Following its completion in the Gothic sector, large flotillas of chaos pirates started fled and started attacking more isolated imperial sectors. This led to the Calisota sector becoming completely cut off from the imperium. This was an extremely difficult period for the chapter, fighting to maintain the sector’s border while the sector’s economy collapsed due to the impossibility of mercantile trade. The high lords of terra declared a writ of Sectorium Perditit (lost sector), as it could no longer rely on outside imperial resources. With the sector freed from tithes to focus on its own defense until a liberation crusade could be organised, the Argent Ultima bunkered down and helped the imperial guard establish many fortress-worlds to protect the sector’s borders. This allowed the sector to maintain geographical integrity, though the economy never quite recovered. In an attempt to reinvigorate the sector’s economy and establish more easily defensible borders, the sector leaders declared a 3rd Calisotan crusade, again led by the Argent ultima. This crusade was considerably less effective than the previous ones, hampered by the diverse smaller entities to conquer and the wide fronts. The battle of Prandius Phall alone led to the death of millions for little gain, including dozens of Argent Ultima Astartes and the death of their Chapter Master Kirikoo. Once the crusade was over, the Argent Ultima continued their reinforcing of the sector, hoping an external crusade could one day reconnect them. A number of phenomena have repeated themselves over the millenia, shaping the chapter further. Even at its most open, the Calisota sector was isolated on the rimward border of segmentum obscurus. Combined with their sacred responsibility to defend the sector, they have only rarely left the sector, and even then only to serve in the deathwatch. This has left them largely unaffected by events that changed most of the galaxy, such as the war of the beast, nova terra interregnum, the age of apostasy and even the tyranid invasion. This has allowed them to evolve unusually, often favoring their own methods over those of the galaxy at large. The unusual reverence the chapter holds for the cult mechanicus, their closeness with the Mechanicus Skaros, their hoarding of archeotech and non-standard chapter organization has led to frequent conflict with the inquisition. These conflicts have happened periodically, generally coming from zealous members of the ordo hereticus who believed them to be serving the ruinous powers, or being more loyal to the mechanicus than the imperium. This even led to a few cases of open warfare. Following the age of apostasy, zealous puritans decided to attempt to take to task the chapter master, attempting to strike at the prime fortress-monastery on Ialysos. Thanks to the heavy mechanicus presence in the system, only a single battalion even reached the surface, quickly to be dispatched by the chapter. An additional attempt came during the Moirae Schism, when members of the ordo hereticus came to believe that this chapter might follow their progenitors, splitting the chapter in two. They attempted to bait the whole chapter to come outside the sector to annihilate them, failing due to the small scout-fleet mainly of mechanicus vessels they sent instead. This led to the larger “war of the deep-void”, where mechanicus vengeance fleets (without any argent ultima assistance) openly fought against the fleets of those powerful inquisitors that had attempted the earlier purge. The war was ended when the full might of the inquisition (backed by powerful magos juris & ordo malleus inquisitors) declared against the “Purgators”, declaring them traitors and hunting them down to the last. Despite these few conflicts, the chapter has mostly avoided censure thanks to their extensive prosecution of tech-heresy, assisting the magos juris and other tech-minded inquisitors. In addition, the powerful influence of the mechanicus within the sector has meant the chapter always had reliable allies. Due to its isolation & local responsibility, the chapter has only had significant interactions with 3 other chapters over its lifetime. It is known amongst scholars of the astartes that the Carcharodons Astra hold a number of pacts with the mechanicus, exchanging archeotech found in the outer dark for supplies, repairs and more. One of the holders of these pacts is the forge-world of Skaros Primus, in the same system as the Argent Ultima chapter-monastery. As such, the Argent Ultima have occasionally joined forces with the Carcharodons to fight threats from the halo zone, and have apparently gifted much high-quality wargear to them. While the apparent savagery of the Carcharodons may appear at odds with the Argent Ultima’s emotionless demeanor, they perceive said savagery as a solid tactic when combined with their traditional strike & fade away methods, behaving as a smart predator and not as mad berserkers. A relatively new chapter, they have been seen in unusual numbers within the Calisota sector, mentoring many local generals, admirals and governors. As such, they have mainly crossed paths with the Argent Ultima when the latter has worked with militarum forces. In those few battlefields they have worked together, the shock & awe tactics of the Argent Ultima reveal weak points which the Mentors then strike at with their kill-teams. The Argent Ultima have thus far worked well with the Mentors, some even claiming that the archeotech of the Argent Ultima has been shared with them for validation for use with the wider imperium. A chapter dating from M34, the Dread Crusaders are a Black Templar successor responsible for purging wild space between Cypra Mundi and the northern edge of segmentum obscurus. This has lead the chapter to perform some recruitment on the edges of the Calisota sector. Their favoring of terror tactics has led to some friction with the Argent Ultima, who perceive them as an effective if strange chapter. They have occasionally collaborated to destroy small Tarrellian enclaves to the galactic south of the sector. The chapter Philosophy would always be influenced by the teachings of the Iron Father Zenodeon and the Cult Mechanicus. Iron Father Zenodeon was an apprentice Techmarine on Mars in the beginnings of the Horus Heresy, during the Death of Innocence and the Schism of Mars. He, alongside a 17 of his fellow apprenta, one from each legion, formed a small group called the Brotherhood of the Cog. Following the Death of Innocence, these apprentice techmarines ranged all over Mars, trying to recover as much knowledge, and as many loyal adepts as was possible. To express their dedication to the machine-god and the omnissiah stripped their armor of all coloring, keeping only their techmarine pauldron as an identifier. During the nine years of the heresy, the brotherhood waged a constant guerilla war against the forces of Kelbor-hal. As all this occurred during the events at Istvaan 5, Zenodeon was not hit as strongly by the death of Ferrus Manus. Him and his fellow techmarines formed a strong bond beyond even the bonds of their legion. When mars was freed, only those nine brotherhood members from the loyal legions returned, the fate of their "traitor" brothers kept silent (though some rumors claimed that these "loyalist traitors" where sheltered, eventually to join in secret the argent ultima). This, combined with his experience during the death of innocence, led to a greater than normal closeness to the teachings of the Cult Mechanicus, as well as a greater appreciation for the expansion of knowledge. In the years following the heresy, Zenodeon became convinced that what doomed his primarch was not the weakness of the flesh, but the same one that led to the undoing of the Mechanicum: pride. As the mechanicum came to believe that they were gods, the machines, and so had Ferrus Manus, charging forth to face his brother alone. As the Adeptus Mechanicus was born of needed humility towards the machine (Mere adepts, and not the machine itself), Zenodeon espoused a way of humility, respect, and self-effacement. It was the weaknesses of the mind that needed to be guarded against, and not those of the flesh. This philosophy did not appeal to his legion, filled with hatred of their foes and self-pity towards the weakness of their flesh. He attracted a few followers, but never held major influence. The foundation of a chapter following his ideals allowed him to expand them greatly. The Calisota sector has a number of unique features that influenced Zenodeon and his successors. A strange feature of individuals born in the sector, some seem to perceive the presence of machines as a vast choir, unequal in harmony and melody. While this was imperceptible to Zenodeon at first, many of his recruits and local tech-priests described it to him. Over time, he managed to hear the choir himself, which shook him almost as deeply as the Argent Panoply. Few but the greatest of Archmagos had ever claimed to hear such a choir, yet in this sector so many seemed open to it. Before the proper starting of chapter operations, he organized them according to a special method based on the choir and the wisdom of those who came before. The heart of the sector is also powerfully warp-suppressive. Navigators frequently mention that the warp is unusually predictable within the sector; and no documented case of a psyker born in the sector’s heart has ever been registered. As the argent ultima recruits exclusively from the sector’s heart, none of their recruits present the skills to become librarians; as such, the chapter maintains none. The Purity of Argent: The lesson to learn from the hands of Ferrus Manus was not their iron, but the purity of their silver. It is more important to retain the purity gifted by the Omnissiah than to replace it with the works of man. The Pre-Eminence of Flesh: One must remember that the Omnissiah gifted them with a body of flesh, not of steel, and it should not be replaced lightly. The Argent Mind: To the Astartes of the Argent Ultima, they must free themselves from the idea-forms that might lead them to weakness of mind. The astartes must avoid Pride, Wrath, Fallacious Argumentation, Optimism, Pessimism, Impatience, and a great many more faults. Humility facing the machine: The machine, glorious creation of humanity, must be treated with respect and humility. No man must ever presume that they can know all of a machine. The machine is their ally, and not a tool or slave. Striving against imperfection: The astartes must forever seek self-improvement, both in mind and body. One must accept criticism, evaluate it honestly, and establish its validity. Duty above glory: the pursuit of glory should be struck down. The acts of an astartes shall only be glorified after death or retirement, lest they encourage a distorted image of self. The chapter perceives the codex astartes as a decent tactical text, but hold it in only slightly higher regard than others. They have diverged even further from their progenitors over its last 9 millennia on the fringe of the galaxy. This includes organization as specialized clan-companies. Each Chorus (clan-company) is divided into a series of Choirs (platoons), divided according to codex standard; 1 veteran choir, 4 battle choirs, 4 reserves choirs & 2 scout choirs. As they are always separated over multiple battle-zones, this allows each clan-company to function as an individual unit. This is allowed in part due to their extensive auxiliaries; each clan-company has thousands of battle-servitors (some say made from the bodies of failed neophytes), allowing the astartes to act only where most needed. Unlike most chapters, the Argent Ultima has no librarians. The Choir-leaders fulfill the record-keeping tasks librarians would normally perform. The chapter also does not field any Dreadnoughts, claiming that dying Astartes deserve the peace of the grave, and that their mental decay it leads to makes it impossible to follow the precepts of Zenodeon. The Argent Ultima typically recruit from a number of forge-worlds, death-worlds and void-fleets. Part of the training involves each member participating in the fabrication of their power-armor, becoming intimately aware of its machine spirit. Due to their close ties with the Relic-World of Skaros Primus, their chapter’s Techmarines are trained there rather than Mars. Due to their wider roles within the chapter, these techmarine neophytes spend 48 years (4 years per division) learning from magos of the various specialties. As such, the chapter’s Techmarines are often less augmented than their peers, to not lose awareness of the machines of flesh & mind. The following chapter describes elements of the chapter itself, including clan-companies, heroes and relics. Clan Yalisos: responsible for defending Skaros Primus, Clan Yalisos was the first clan-company, recruiting exclusively from the Skaros system. It's choir-master, also known as Precentor, leads the whole chapter. It's members are considered to be the closest to the Omnissiah, an example that all Astartes of the chapter should follow. They frequently deploy squads alongside other clans, as the relative safety of the Skaros system leaves them with few local combat opportunities. Clan Voidwalker: responsible for maintaining the fleet of the Chapter, clan voidwalker are considered masters of space combat, with many among them being master pilots, gunners and 3d-tacticians. This clan has a much greater number of mortal retainers involved in high-level tactical decisions, as there are not enough Astartes among them to lead all vessels. This has led to great respect for them in the Imperial Navy, as they are among the few who will defer to mortal expertise when involved in tactical action with them. They exclusively recruit from the sector's numerous Forge-fleets, large mechanicus fleets that pounce on unsettled systems and strip all valuable resources from them. Clan Dominus: responsible for maintaining the chapter Cybernetica Auxiliary, these marines are trained to fight alongside all imperial combat robots, from the Artalax to the Vultarax. They typically travel alongside Clan Voidwalker, ready to assist them in cleansing any impurity they might find on their expeditions. They recruit from a number of forge-worlds, favoring candidates known for their natural affinity at working alongside machines. The location of their Clan-fortress is unknown to the larger public, though it is believed to be hidden under one of the forge-hives of Hexeldrane. Clan Diamondskin: Fortress-holders of the chapter, the clan arose following the second calisotan crusade. Their role was to establish and maintain a chain of fortress-worlds to keep the heart of the sector safe. As the 3rd calisotan crusade ended, they have moved their efforts to the edge of the sector. They have been working intensily to reinforce the ultralimbus sub-sector, and have reinforced the star-fortresses at the 4 gates. Clan Quicksilver: Cyber-masters who'se skills go beyond those of even the Ordo Vanus, Clan quicksilver is responsible for protecting the chapter's data and maintaining data-integrity of the sector. They are fewer than most other clan-companies, and are said to recruit only from the most tech-capable aprentices of the administratum, and any other dedicated to pure knowledge. 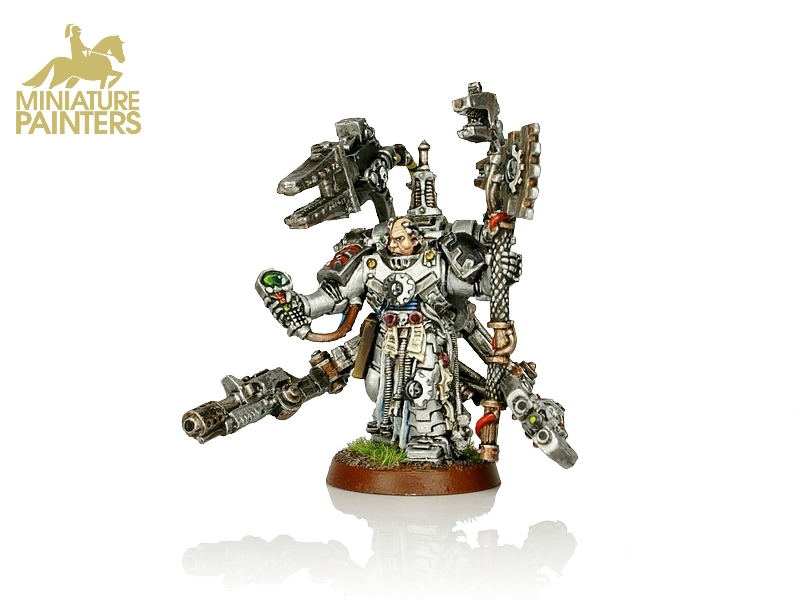 Argent Panoply: found in a lost stasis-vault of Skaros Primus by the Iron Hands Captain Salukan Garsaak, it's sheer majesty made the weathered techmarine weep and inspired the name of the chapter. This Archeotech Artificer Armor set had the exact proportions for a space marine, leading many to believe it had been created by the Omnissiah himself during the Dark Age, in preparation for those to come. The intial find contained three items, with cryptic clues on where to find more hidden in the Skaros system. Many legends surround the panoply, with some believing the silver of the armor is the same as that in the hands of Ferrus Manus, and that once the whole panoply was assembled he would return to his children. Others, students of history, are more suspicious, as no astartes-proportioned armor had ever been found, before or since, dating from the dark ages . The True-argent Halo: One of the first 3, this silver-colored archeotech force-field generator is of the highest workmaship, far beyond the ability of most. The Argent Helm: One of the first 3, this archeotech helmet is filled with arcane sense-amplifiers, a powerful vox-array and a masterwork auspex integrated within. The Argent Plate: One of the first 3, this archeotech artificer power armor is exceptional in every way, protecting better than terminator plate while allowing a deftness that makes all others seem clumsy in comparison. The Antithesis of Existence: Discovered before even the armor by an Archmagos Reductor, he gifted this ancient conversion beamer to the newly founded chapter once he saw the similarities. The Mithral Bulwark: An archeotech storm-shield of shining silver, it is taller than most men and seems to amplify the protective power of the True-argent halo. It was discovered on Skaros Leuctra, when one of the Mechanical Techtonic Plates that rose to the surface showed certains signs that matched one of the clues. They quickly mounted an expedition, though despite their dedication they only found it once the Tectonic plate had started returning to the depths, and most of the clan-company was lost. The hands of the omnissiah: An archeotech servo-harness equipped with 14 mechadendrites of various narcane natures, it's machine spirits are said to be so advanced they react to the slightest thought. Found deep in the caves of the moon Skaros Bedriacum, it was found immaculate, while every other surface was covered in the invasive (and nutritious) fungal specimens of this vast agri-mine. Those still sought: it is unclear how many parts of the Argent Panoply are left to find, though current analysis indicates that there should be a power sword, an inferno pistol, and at least 3 other (currently inidentified) objects. It has been the chapter's most hallowed artifact since, worn only by their greatest champions, and always as a set. None have ever fallen while wearing it. Argent Questor, ark Mechanicus: Flagship of the Argent Ultima fleet and fortress-monastery of the Voidwalkers Clan-company, this vessel has has seen all corners of the sector. This vessel was originally recovered from a space-hulk that appeared at the border of the sector from the Cypran passage. Its argent hull and glorious countenance was all that was needed to convince the chapter of its value. It has since served faithfully, with each successive generation of choir-masters uncovering more of the secrets inside this masterwork of the machine-god. Archeotechnologist: The Argent Ultima chapter has considerable experience with archeotechnology thanks to the last 9 millenia in the Skaros system. A marine with this talent does not have any negatives when they repair archeotechnological weapons, armor and vehicles. The chapter’s closeness to the cult mechanicus leaves the battle-brother more sensitive to their intent. The battle-brother will not break any oaths to those who follow the cult mechanicus. Whenever he is involved with imperial factions, he will always side with those who follow the cult mechanicus. The love and affinity of the Argent Ultima for archeotech and the secrets of the dark age of technology comes to dominate his mind. Should the battle-brother receive credible information about the location of unclaimed archeotech, he must succeed at an easy (+10) willpower test or lose the ability to enter squad mode until the end of the mission or the archeotech has been found/proven to not exist, as his mind becomes obsessed with the thought of finding it. Should the information concern uncorrupted knowledge from the dark age (such as an STC printout, ancient datastores, or an STC constructor), the test becomes a hard (-10) willpower test. The chapter’s favoring of cold intellect closes their mind to the experience of lesser men. He disdains those who do not cultivate their minds to the highest standards. If led by an astartes who is less intelligent (lower INT bonus) than the battle-brother, the battle brother reduces the Kill-team’s cohesion by 1d5, as he openly questions the mental competence of their leader. Looks cool, but one thing I would suggest regarding the heraldry is that perhaps the use of both Or and Cendrée over argent isn't the very best colors according to the rule of tincture. Its kind of hard to see and in particular so from a distance. 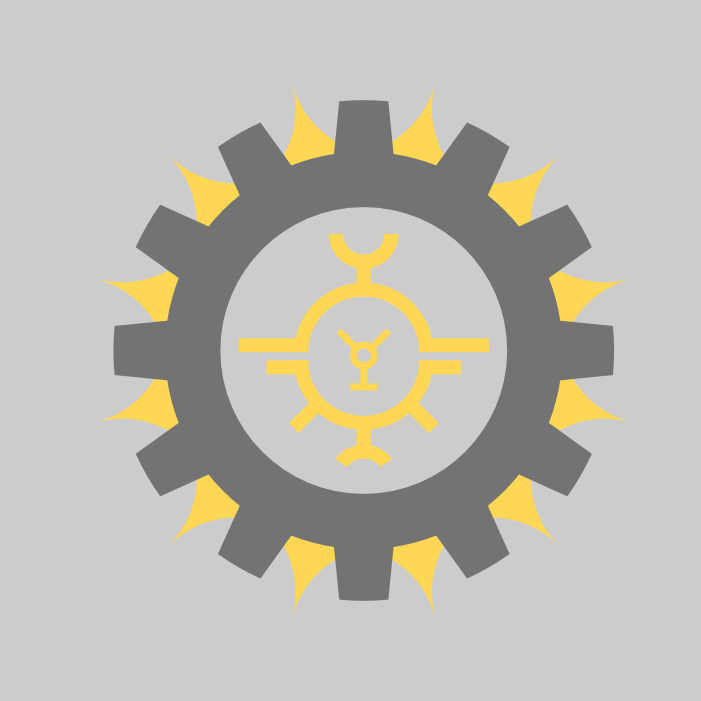 One idea is to change the cog in Cendrée to a cog in Argent and make the background dark grey or even black. That would make the symbols stand out in much better contrast to what you've got right now. I'll think about it. You are WAY more knowledgeable about heraldry than I am, I was just trying to create something that looked cool to me. I would tend to keep the background argent, to really push the notion of them being fully chrome. Well, a pleasent look of it would of course be the ultimate objective. So if you want to run with it, do it. I like the detail you gave them. I could picture them and their worlds in my mind very easily. I also like the choir/singing/vocal schtick you've given their structure. You mention that they are uniquely mutated. Is that the skin hardening? If so, should they have a pure geneseed? Being from the third founding and mutated, they would be exceptionally lucky to have that. But more to the in-game function, it is always fun to play characters that are kind of fucked up in my experience. Secondly, due to both of those factors and their veneration of the Machine God over the Emperor, you should explore their relationship to the Inquisition. I think they would be the perfect chapter to have an enemy of the Inquisition. Last, I haven't looked at the specs of the Iron Hands yet, but what makes these guys different - not so much fluff wise, but XP advancement wise? What is their primarch's curse? What are their solo and squad mode abilities? They need some more of that detail to feel more unique. -The mutation thing was an old thing I must have copy-pasted by accident. I need to improve my purging skills. -I've got the advancement table on the 3rd post from the top; essentially, they are more focused on acquisition of archeotech, and I've given them a custom talent that remove all the regular negatives one normally gets when working with archeotech. -For squad/solo mode abilities I've kept Iron hands abilities for now. I would like to develop their own, but am short on ideas at the moment. If you have any ideas, feel free to offer one! Here's a try for an appropriate custom solo-mode ability. It fits with them thematically, though I'm unsure about the power level. Effects: Space Marines of the Argent Ultima chapter are forever listening for the choir mechanic, the inherent song all machines (regardless of origin) sing when working towards a common purpose. When fully focused on that purpose, they gain near-supernatural awareness of those machines spirits around them. Improvements: At Rank 3, the Battle-Brothers perception allows them a +10 on Ws and Bs checks against those kinds of enemies. At Rank 5, the Dodge/parry bonus increases to +20. At rank 7, the Battle Brother can also re-roll one Ws, Bs, Dodge or Parry per turn against such foes.